In 2003, Sweden went to Estonia and performed 8 shows for 2000 people. 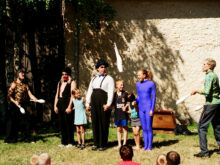 In October 2003, Clowns Without Borders Spain performed shows in Namibia. 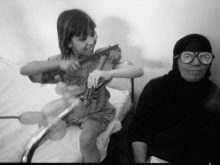 In July 2003, Clowns Without Borders Spain performed shows in Ceuta. 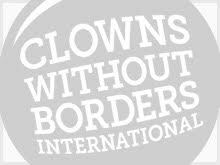 In 2003, Clowns Without Borders Spain went to Israel and Palestine with the support of the Palestinian Center for Conflict Resolution, and performed 12 shows for 6000 people. Clowns Without Borders Spain went to Iraq to attend the victims of the 2003 invasion. Their field partners were Medicos del Mundo and Doctors Without Borders. They performed 12 shows for 3000 people.